Someone we know once received a package at his office that contained a baby shoe and a note that said, “I'll do anything to get my foot in the door!” There may have been a resume and a cover letter buried in there, but our friend's office was so amused (and not in a good way) by the baby shoe thing that the important stuff was completely overlooked. 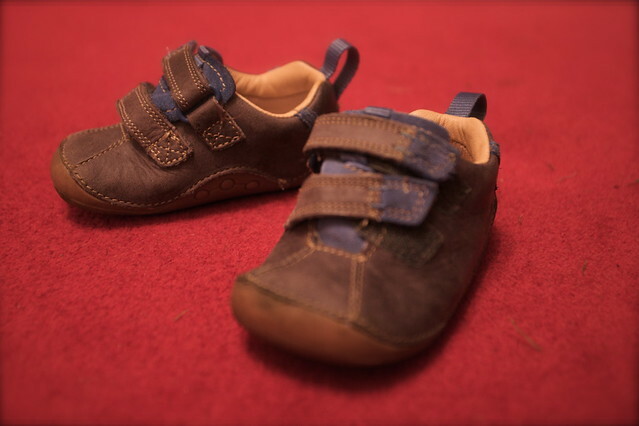 But even if it hadn't been, who wants to be the person who hired the baby shoe guy? “Hey, wait a minute,” you might think. “Aren't your fancy resumes just another example of this?” That's a question we hear occasionally, and it's a good one. The way we see it, the defining quality of a gimmick is the element of subterfuge. If you're flashy enough with your baby shoe or your cookie bouquet or YouTube video or whatever, maybe no one will notice your shortcomings. A well-designed resume, on the other hand, is meant to highlight your qualifications. Our layouts bring the story of your career to life using proven design principles. If your qualifications are solid, we contend that a well-designed resume is the frosting on the cupcake of your professional achievement. However, if you majored in underwater basket weaving and your most impressive accomplishment is playing Call of Duty for 14 hours straight, there is no font, no color combination, no design element that can convince someone to hire you.